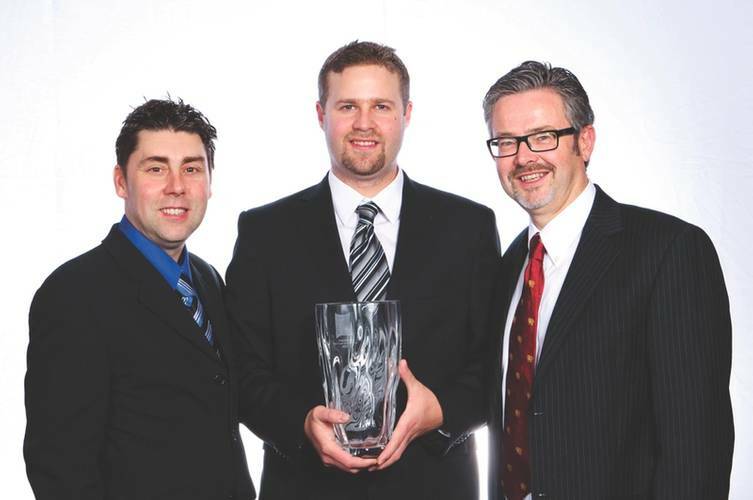 Nigel Bennett, Cameron Janz (CEO) and Lee Marshall (production manager) accepting the RBS TRITON business excellence award. ROTOX working in heavy oil in a pit in Venezuela several months ago. 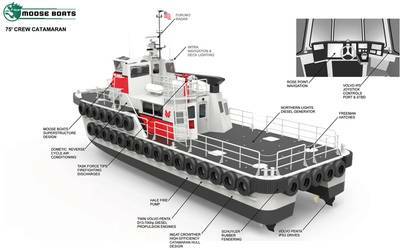 Importantly, Aqua-Guard’s RotoX skimmer was not originally designed for Arctic operations. 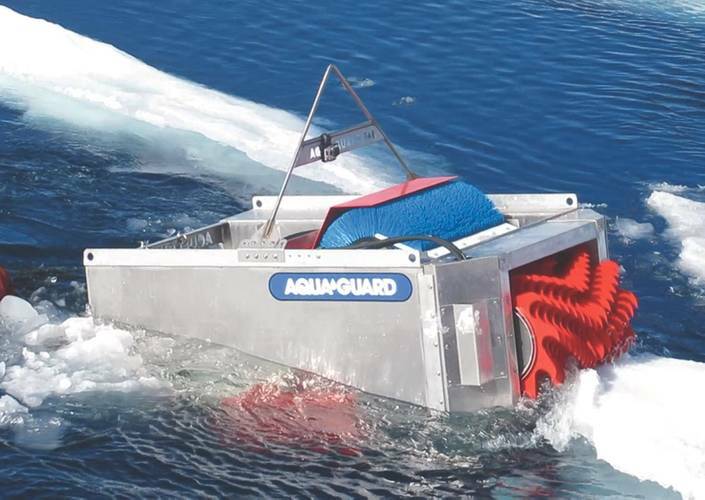 The Arctic equipment was a modification; an advancement of Aqua-Guard’s RBS-TRITON, or rotating brush skimmer, technology. 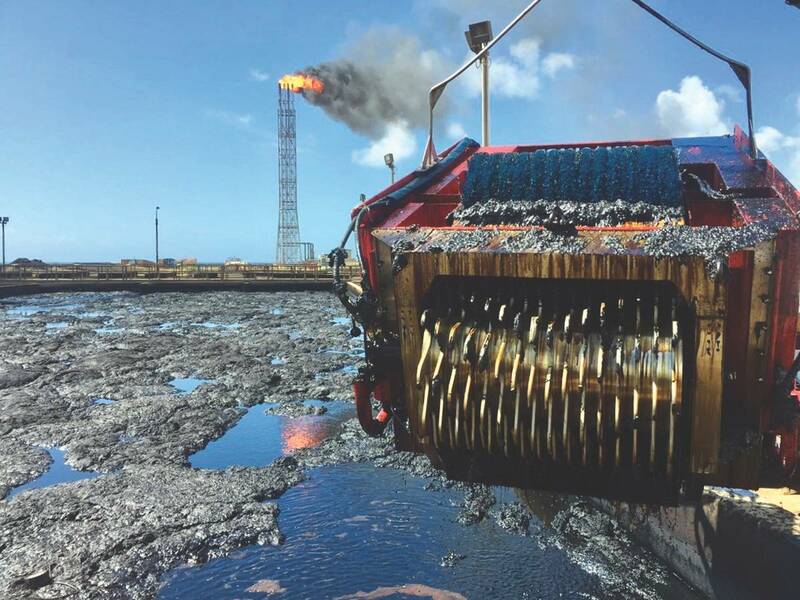 The RotoX is designed to macerate (soften or separate a mixture); in this case, large oil solids, into constituent elements, then recovering the slurry and pumping it out of the water. 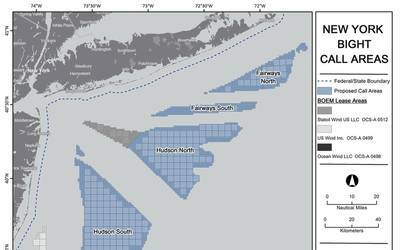 Company co-founder and principal, Nigel Bennett, explained that the system is designed to break up and recover ultra-heavy oil/sludge floating islands.